The Annunciation or as some scholars may call it "the Incarnation of Christ" originally were part of three pieces commissioned by the D'Anna family for their chapels in the church of San Salvador, Venice, northern Italy. Only two out of three pieces is place in the church. 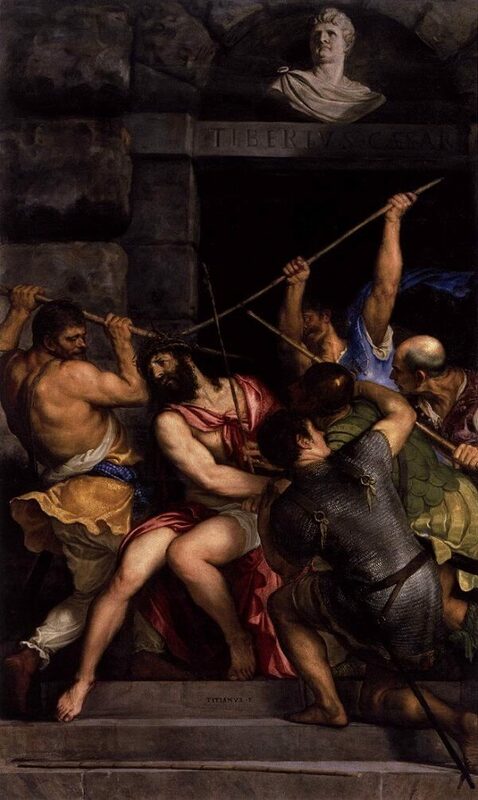 The name of the two other pieces that were commissioned Transfiguration dated around 1560, as the altarpiece of the high altarpiece in the Church San Salvador and Crucifixion (Titian) which is placed in Church of San Domenico, Ancona. There were supposed to be three paintings that were commission by members in the church but only Annunciation and Transfiguration are inside San Salvador. The painting is depicting a scene from the life of Christ, when the Virgin Marry being told that she is carrying the child of God, the Annunciation of the Virgin. 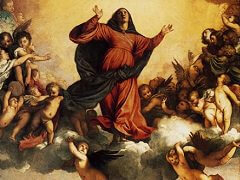 In this composition Titian, has set two bottom figures as Mary (mother of Jesus) and Gabriel. 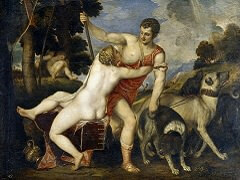 Marry is in a position of shock but titian using his colours in a mudding fashion brings out the sight of the angel. This is most evident in his handling of light. A heavenly light pours from an opening in the sky into the place of the Annunciation. 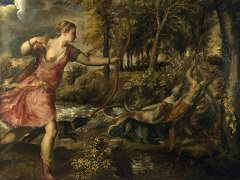 There have been opinions on the different usage of colour in the painting from Giorgio Vasari to Charles Hope. Hope's opinion "disliked the use the muddy colours, the physical types, the mannered pose of the Virgin or the badly drawn figure of Gabriel and the inept use of gesture". 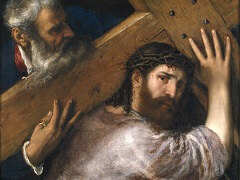 Hope's observation is an extension from Vasari's criticism. While Bohde explains that "muddy colours" and the physicality of the figures makes the composition of Titian's Annunciation so good. 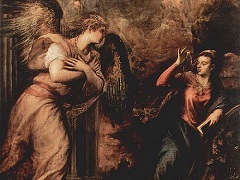 The overwhelming size of the angel compared to the Virgin and the brush strokes being more expressive shows the theme of incarnation. 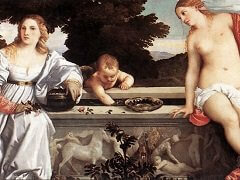 Titian's way of depicting the Virgin showing the flesh is more full in her bosom. Making the flesh of the virgin more evident, puts emphasis that Jesus was made from the Virgin's flesh.